We have been spending a lot of time in the water lately. 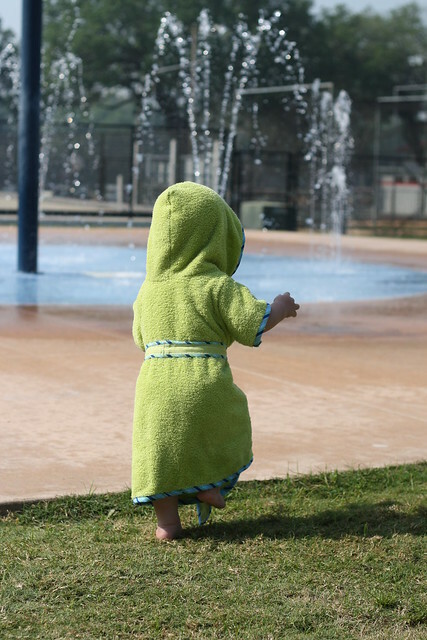 A just can't get enough of splashing around in the pool or at the splash park, but he always seems to get so cold when he gets out. 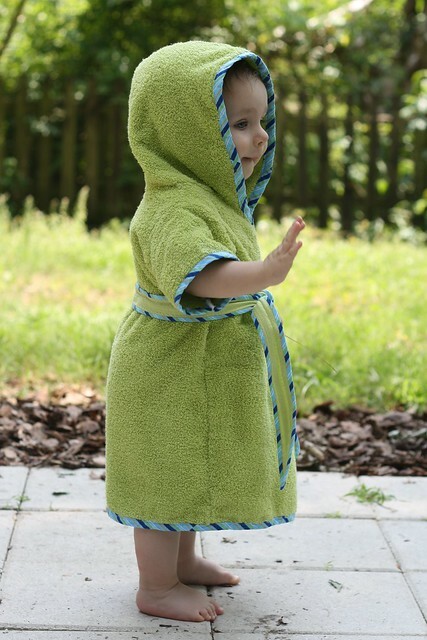 He is way too busy to keep a towel on so I decided he needed a robe to stay warm. 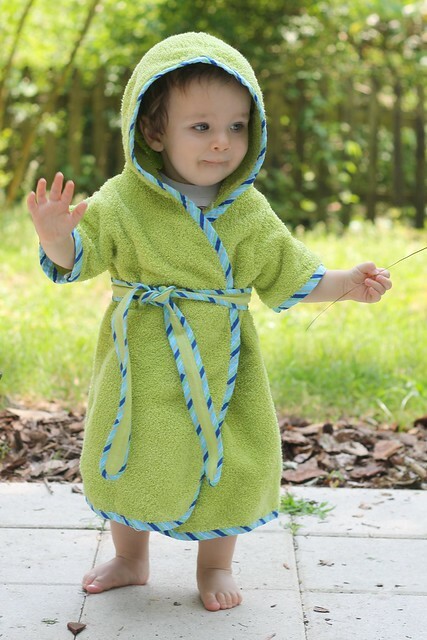 I was surprised to find that there aren't many kids robe patterns out there. I didn't find a single one with a hood on it at Jo Ann's. 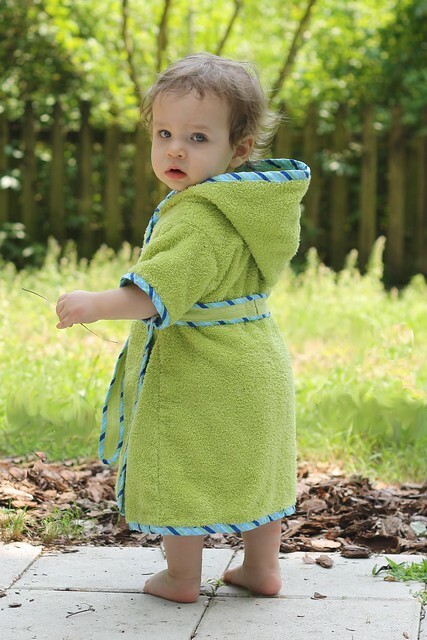 I had started drafting my own pattern when I found this beach robe pattern by Dana at MADE. 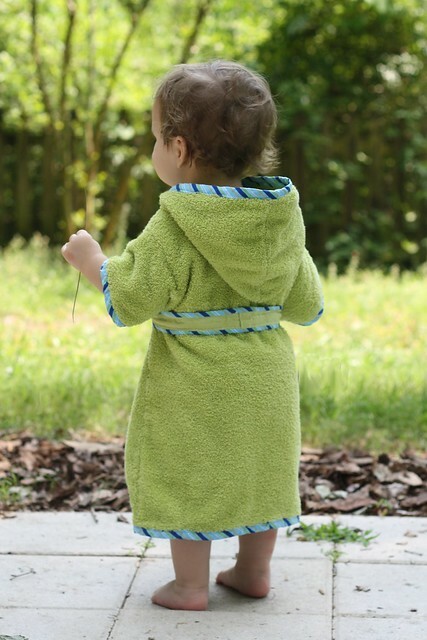 I made this robe in a size too big, that way it is warm and cozy and will probably fit him for a couple more years too. And the best part is I found the towel on sale for only $2 and spent just over $1 on the fabric for the binding! 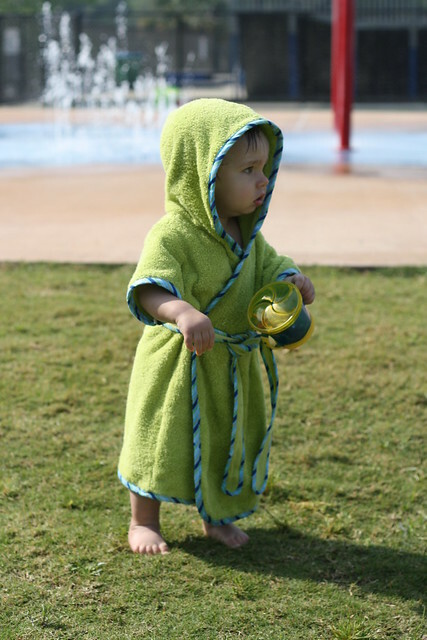 It was perfect for keeping him warm while he had his snack at the splash park!